— Jason McKinlay - World record holding adventurer. The Pinchbeck-McKinlay Challenger watch: Custom built and designed for adventurer Jason McKinlay's 2000 mile rowing challenge around Great Britain. This watch kept perfect time and excelled on the challenge to aid Jason, and his team partner, achieve a record breaking time of 41 days for a rowing pair. This same watch model is available as a limited edition. Your personal Pinchbeck-McKinlay watch will be built to the very same exacting standards that kept Jason's watch ticking perfectly while at sea for 41 days! 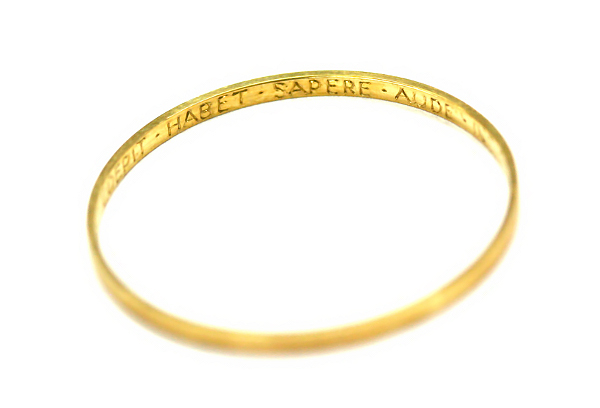 A golden ‘inner ring’ (between the dial and the glass) may be added and hand-engraved with your own choice of wording. We know of no other watch (except our Bespoke Collection watches) that includes this beautiful, highly personal, embellishment. Almost secret, and readable only on close examination, this small inscription is, perhaps, the ultimate way to dedicate a watch to its owner. When you buy a Harold Pinchbeck Bespoke & Limited Collection wristwatch, we guarantee the movement's mechanical performance for your lifetime. The only condition to this warranty is that you return the watch to us for a professional service at least every three years. In fact, your watch's first service will be completely free!